Bowhunting is equally enjoyable as it is dangerous. Nevertheless, by using the right precaution measurements, you can significantly minimize the risk of those most unpleasant scenarios. And by embracing a reasonable behavior, you can really get to enjoy the great outdoors, get reconnected with nature and truly experience its grandeur and magnificence. Few things can be compared to the hunting experience – don’t you agree? But still, we have to be safe, which is why we encourage you to bear in mind the following guidelines. Any hunter must know that the positioning and the condition of the tree stand are primordial. Not only for safety reasons, but also for the results you are prone to obtain during your hunt. To that end, if you usually hunt from a tree stand, there are some things that shouldn’t miss your attention. For one thing, before climbing it, you have to be 100 percent sure that it can hold your weight. In case the tree cannot deal with your weight, then you should pick another one. Hanging your stand is one of the more dangerous times. Make attempts to throw a lifeline over a higher limb to use while installing your steps. You can also use a flipline to help keep you stable as you ascend the tree. 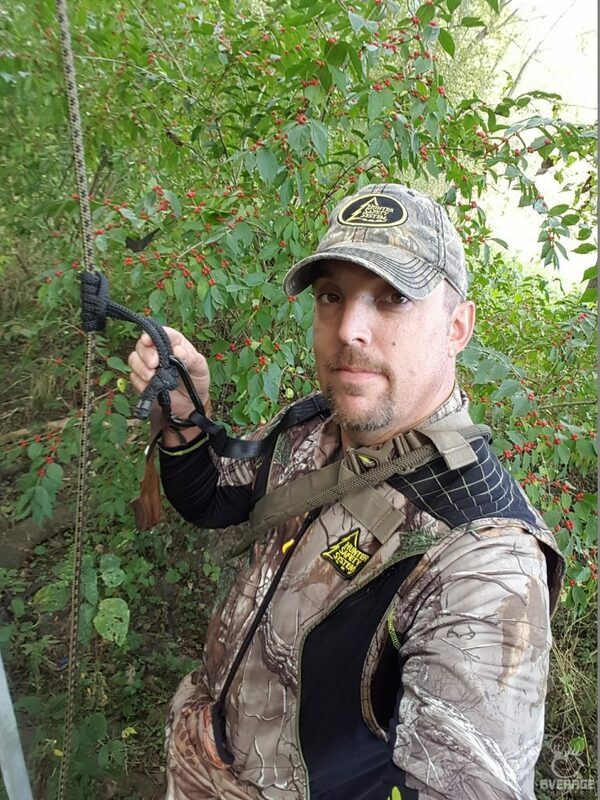 Once you’re to your stand location on the tree, the first thing you should do is strap yourself to the tree. No hunt is worth falling and your family will appreciate it. 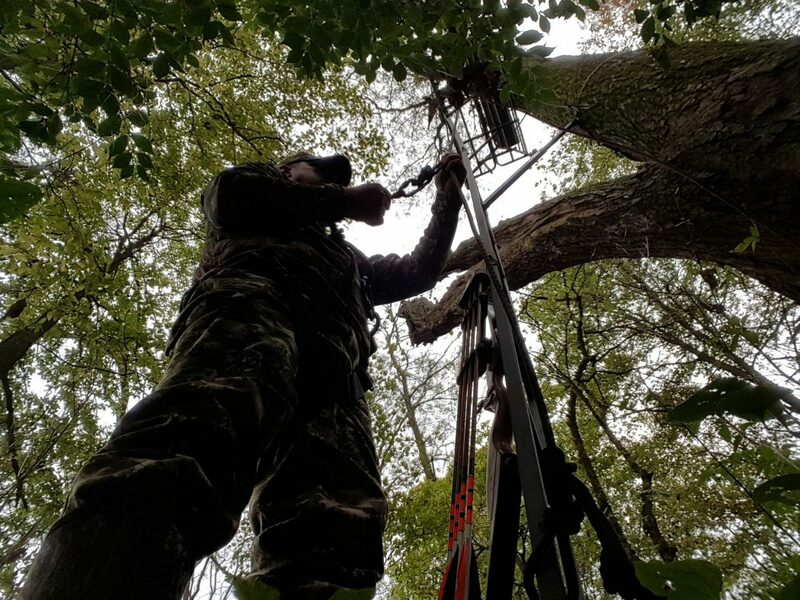 Once the stand is hung and you’re ready to climb, we also advise you to leave your equipment – namely your bows, arrow, as well as other hunting gear on the ground. Only afterward should you proceed and secure a line to them. So, the order you have to follow is: climb the tree and afterward, you must secure yourself to the tree. And after you are off the ground, you can go ahead and retrieve your belongings to diminish the likelihood of falling out of the tree. Another piece of advice we find to be essential is using a portable tree stand as opposed to a permanent stand. 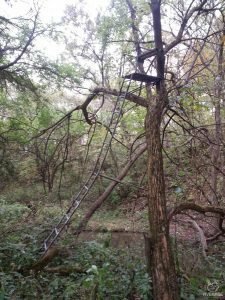 You might be tempted to build your own tree stand, assuming that you’ll manage to save some money in the long run. And while this could be true, you should also keep in mind that over the course of time, it is pretty likely for permanent stands to fall into disrepair, which evidently makes them unsafe. You should also note that deteriorating tree stands will affect negatively the tree’s structure. Hence, if you really want to build a permanent stand, make sure you consider the bow hunting guidelines that apply in your region. 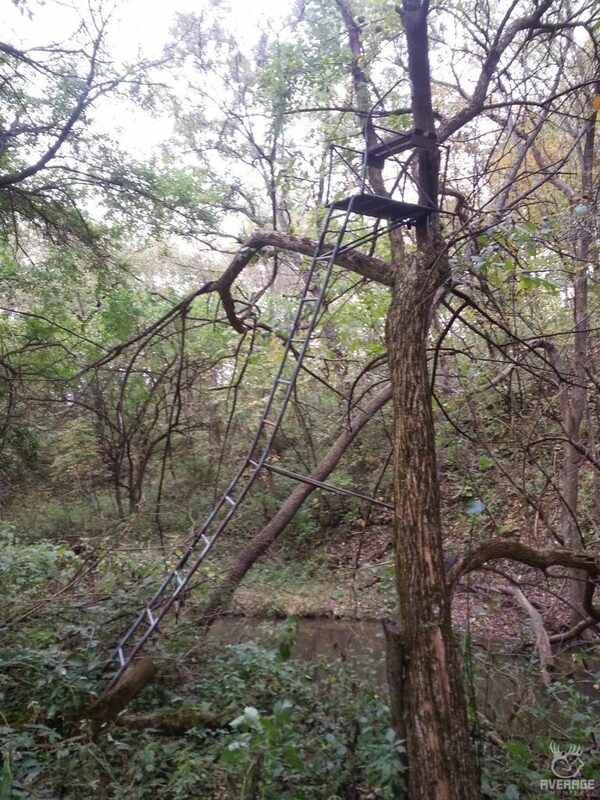 If you didn’t know until now, in certain areas in the United States, tree stands are illegal. Furthermore, another essential guideline is staying in a designated hunting area. This, of course, will eliminate the likelihood of shooting toward people, private or public properties. As a rule of a thumb, you should stay away from popular recreation areas, as well as high traffic trails. In order to ensure this, it is always best to do some research regarding the access points for the hunting areas you’ve chosen for bowhunting. This is a golden rule so that you don’t have to deal with unpleasant scenarios. At the same time, doing research will allow you to avoid unwanted problems with other hunters that might activate in the same areas. Nevertheless, if you’re planning to hunt on private property, or use private property in order to reach a hunting space, make sure you get in touch with the landowners before the hunting season begins. In case they don’t grant you permission, our advice to you would be to steer clear of those areas. When it comes to packing an emergency kit, there are many items that shouldn’t miss your attention. Nonetheless, we would like to enumerate the items that are the most important. For one thing, you should have a first-aid kit. 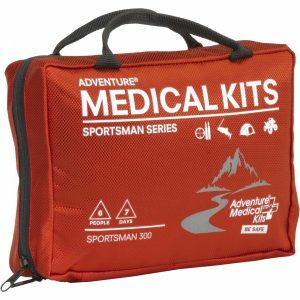 It doesn’t necessarily have to be a fancy first-aid kit, but it should include all your essentials – namely a bunch of bandages, a small cloth, some gauze, aspirin, tweezers, hydrogen peroxide, etc. These will come in handy for cleaning small cuts if something of the kind were to happen. 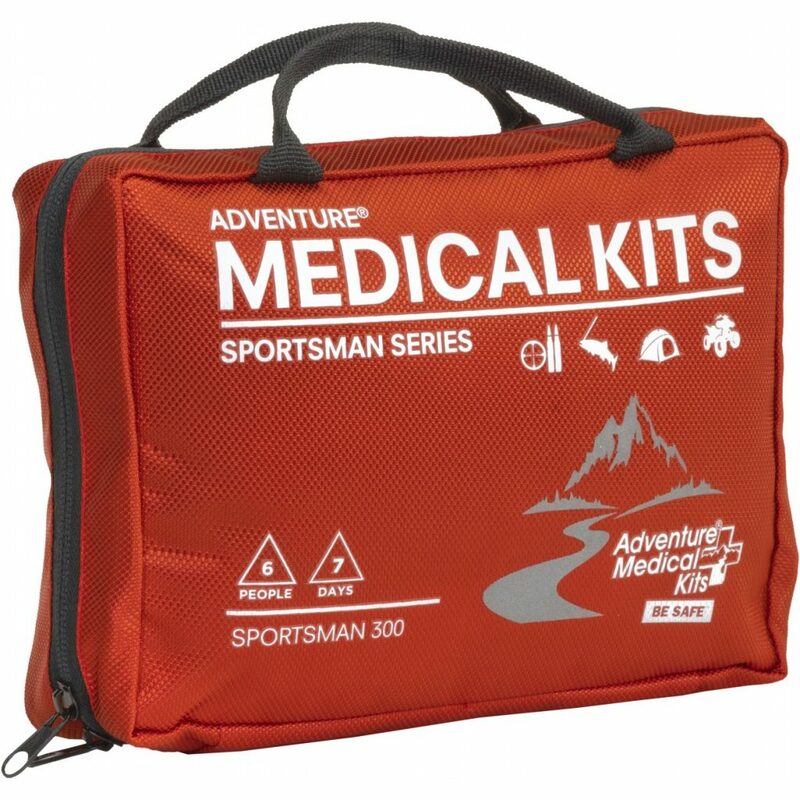 Overall, you’ve got the picture – the first-aid kit should come in handy in the case of accidents. Moving on, another item that shouldn’t miss from your safety kit is the GPS. However, note that GPS isn’t the same as a compass. Considering that we live in a century that is dominated by technology, most of us have a GPS system at our disposal. And a GPS system can definitely come in handy not only when bowhunting, but also during regular hunting, as well. When it comes to the compass, it is highly recommendable to have an old-school tool with you, as well. This is for those times when your GPS fails you or anything of the sort. Even if technology can be extremely convenient most of the times, it can also fail us. Hence, a compass can be a life-saver if your smartphone runs out of battery, or anything else were to happen. At the same time, considering that it is so lightweight, it’s easy to carry around wherever you go. Before we conclude, we would like to point out that, before heading out to your next bowhunting adventure, you should thoroughly check your hunting gear. To that end, you should be 100 percent sure that your broadheads are sharp. Also, you want to make sure that you can tune your bow perfectly, among other things. At the same time, you should be doubly careful when it comes to transporting your arrows. Evidently, the arrows are designed to inflict death; therefore, they are dangerous, so make sure you handle them accordingly. Note that numerous bowhunting incidents actually occur before or after the hunt, when the hunter no longer pays attention to the environment and the gear. So, bear this in mind: an arrow is created as a deadly tool. Hence, be mindful when handling it, no exceptions whatsoever. These are the safety tips we consider to be of utmost importance during bowhunting. What other tips would you consider to be just as significant? 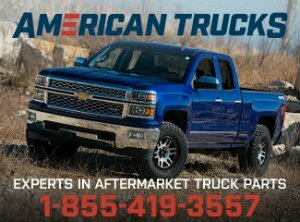 We would be happy to hear all your suggestions.